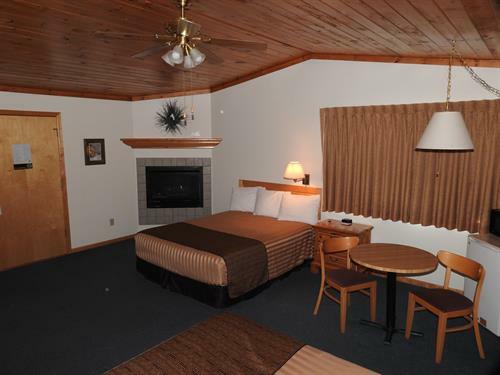 Superior Ridge Resort-Motel is a family run business, we opened in 1993. Our property has been featured in an episode of Venture North and Lake Superior Magazine mentions Superior Ridge as “one of several of the North Shore’s most gracious motels”. We are one of the top-rated resorts on Google, Expedia, and Trip Advisor. We are centrally located on Minnesota's North Shore in the small village of Schroeder, 10 miles south of Lutsen and 3 miles south of Tofte, we offer comfortable ridgeside motel and condo units. After an exhilarating day outdoors, treat yourself to a soothing sauna, free movies, or smores in our fire pit. High-speed wifi and satellite TV are in every room. The owners, Bruce and Sheryl, will do their best to fulfill any special requests to make your visit enjoyable and relaxing. We hope to see you soon during your North Shore Vacation! Visit our website for more information.